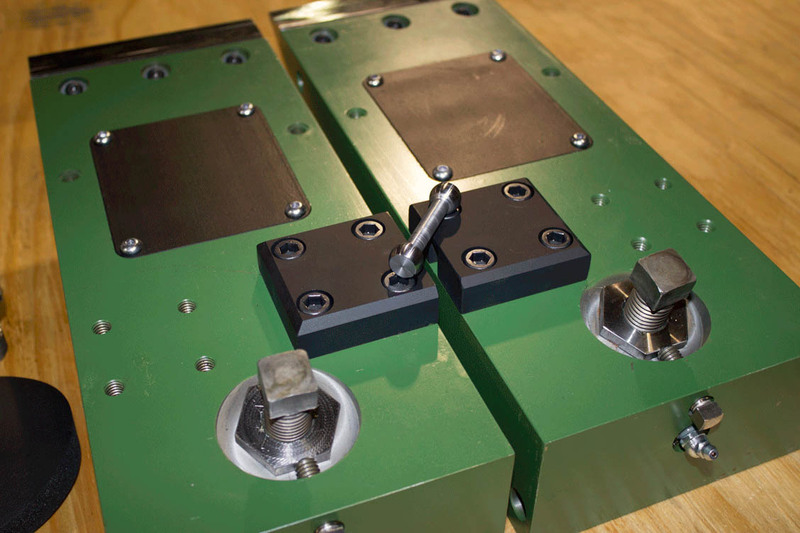 We make both a Manual and Hydraulic clamp, pictured is our manual option. 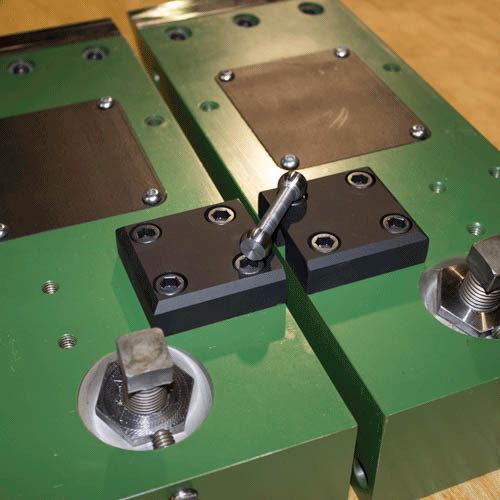 They both offer the same features and use similar parts, save for the clamping mechanisms. 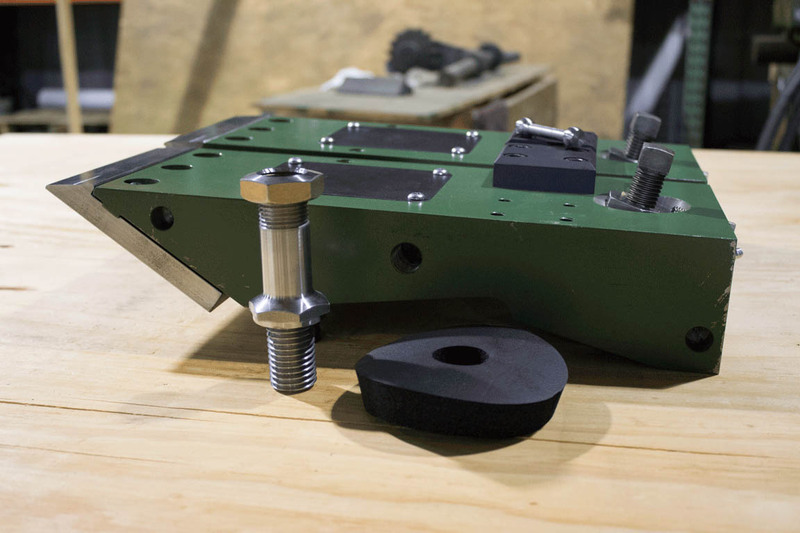 Both use our flex tips that offer exceptional contact against the lathe knife. 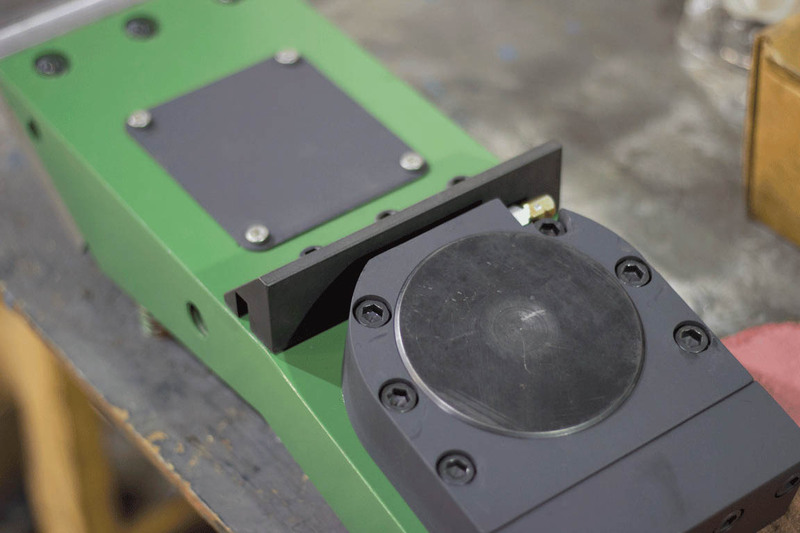 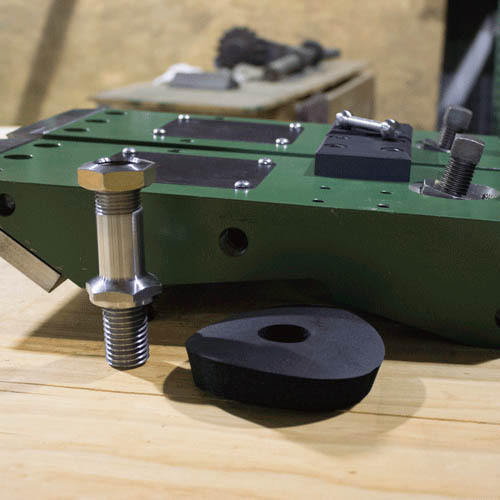 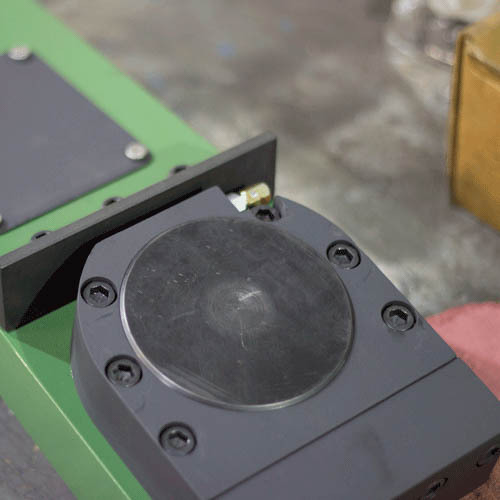 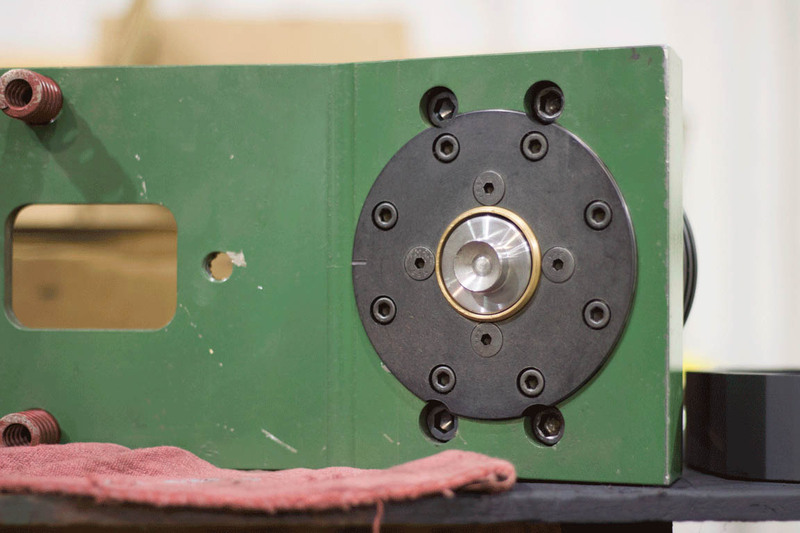 Similar to our Manual option, the Hydraulic clamps are made to make swapping or setting your lathe knife a much faster and reliable operation. 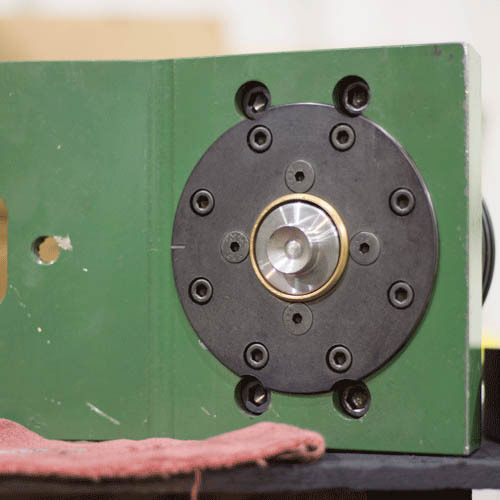 Many of the parts in our Demco Knife Clamps work between the hydraulic and manual options, save for the actual clamping mechanisms of course.